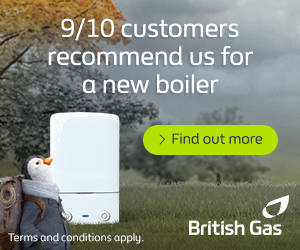 Does the Green Deal need more effective advertising? Is the Green Deal failing to generate interest among homeowners, or is the scheme not being advertised effectively? According to Philip Sellwood, the Chief Executive of Energy Saving Trust (EST), the British Government must target the right homes at the right times to ensure the initiative’s success. Mr Sellwood suggested that households cannot always differentiate between junk mail and useful marketing material. Research carried out by the EST reveals that around 33 per cent of households in Britain receive junk mail or cold calls about irrelevant or unsuitable products and services on a daily basis. Four in five households receive such material every week. Mr Sellwood commented: “There is clearly a market out there for green measures, but the key to selling them effectively is targeting, targeting, targeting”. The Chief Executive added: “Catching homeowners at the right time with the right energy efficiency measure for their home has always been crucial for businesses and will continue to be the case under [the] Green Deal. This will not only build consumer trust through sending information relevant to them, but also save businesses money through more efficient marketing”. One problem with relying on direct marketing is that finding the right message is invariably less important than being noticed in the first place. If homeowners do not read or listen to the message, the offer will not be taken up and the scheme will eventually fail. Another problem is that people have become more suspicious of cold calls and unsolicited mail. Last week, residents in Gosport were warned about the activities of rogue traders in the area. According to Hampshire County Council, vulnerable residents had been targeted by rogue traders who made spurious claims about the Green Deal. Some residents were advised that loft insulation was a legal requirement under new government plans. In January, the Office of Fair Trading (OFT) reminded scores of solar PV panels, double glazing and insulation installers that a high standard of work had to be maintained across the green sector. 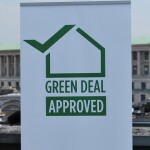 The Green Deal has struggled to generate widespread interest since its launch last month, but the IPSOS Mori survey, carried out late last year, revealed that 45 per cent of homeowners in the UK want to insulate their homes.